Dr Simran Mangat is an eye surgeon at Peninsula Eye Centre. 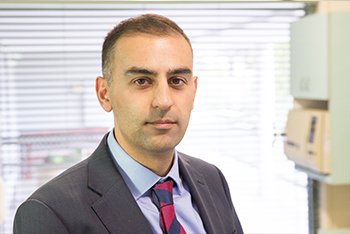 He completed his Ophthalmology training in Birmingham, United Kingdom and is a Fellow of the Royal Australian and New Zealand College of Ophthalmology (FRANZCO) and the Royal College of Ophthalmologists, London (FRCOphth). Dr Mangat has, and continues to publish in peer reviewed journals. He is often invited to deliver presentations at internationally renowned conferences, at which he addresses many issues arising through his ongoing research interests in oculoplastic and cataract surgery. Dr Simran Mangat operates privately at Beleura Private Hospital, Mornington.